On June 21, 1988, IBM introduced its new minicomputer and enterprise server platform AS/400 (later renamed to iSeries, System i and Power Systems), bundled with the operating system OS/400 (later renamed to i5/OS and IBM i). 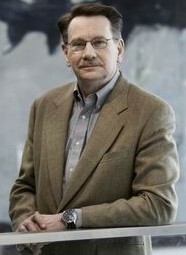 IBM's Chief Scientist for AS/400 computers was Frank Gerald Soltis (see the nearby image), an US computer scientist, with pioneering contribution in the architecture of technology-independent machine interfaces (TIMI) and single-level storages. 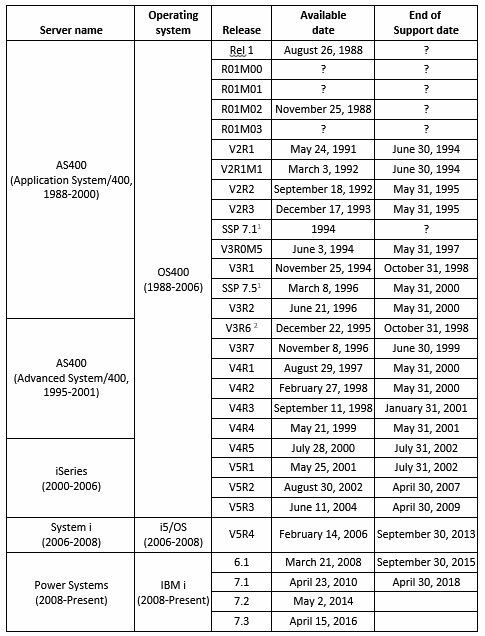 Which are the key differences between OS/400 and other common operating systems? 1. The OS/400 is an object-based system with an integrated Database Management System DB2. 2. Single-level storage—a computer storage concept where the entire storage of a computer is thought of as a single two-dimensional plane of addresses. Pages may be in primary storage (RAM) or in secondary storage (disk); however, the current location of an address is unimportant to a process. 3. Technology Independent Machine Interface (TIMI)—a virtual instruction set, which allows the operating system and application programs to take advantage of advances in hardware and software without recompilation. All user-mode programs are stored as TIMI instructions, which means that it is not possible for them to use the instruction set of the underlying CPU, thus ensuring hardware independence. The latest release of IBM i is 7.3, launched in April, 2016 (see below a table with OS/400 release history).